Since TumblR is shooting a bullet in his foot, I guess I will be more posting on this WordPress blog. Thank you for following me. This drawing is ink and pencil on paper, inspired by Rimbaud’s poem “the sleeper”. 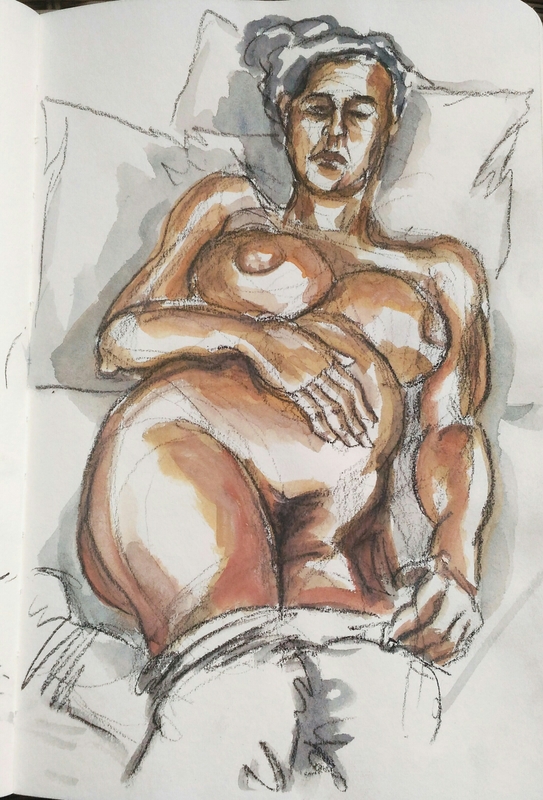 Small study of a woman sleeping on a chair. Hopefully I will turn it to a larger project later. Ain’t I a master of the obvious? Sometimes, the choice of adding a title feels already redundant, yet I find it useful to organize my artworks. So it tends to be quite didatic.